Introduction and Problem Statement. 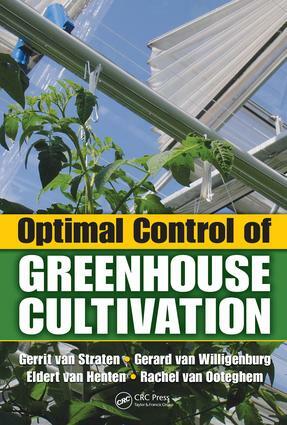 Introduction to Optimal Control of Greenhouse Climate. Open Loop Optimal Control. Closed Loop Optimal Control. Greenhouse Cultivation Control Paradigms. A Seminal case: Lettuce. An Experimental Application: Tomato. An Advanced Application: The Solar Greenhouse. Developments, Open Issues, and Perspectives.